Coluracetam is a nootropic in the racetam family. It was touted as the first high affinity choline uptake enhancer even though other racetams share this action. During the trials it looked to improve depression symptoms and anxiety. Subsequent studies have shown that it may induce long-lasting cognitive improvements of the choline system. Coluracetam is a member of the racetam family of drugs. It’s most known for being an effective memory booster, as well as being good for depression and anxiety. Even though it is known for these benefits it has also been shown to benefit the eyes, but further research is needed to understand just how it does this. Because Coluracetam has only been tested clinically on rats there are currently no recommended doses for humans. 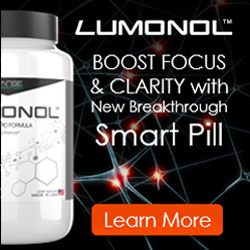 Members of the Nootropics community suggest getting a dose of between 3 and 35mg up to 3x a day. You should always start out with a smaller dosage to work out how you respond to Coluracetam before increasing your dosage as necessary. There’s also not much information out there about how toxic it is, but you shouldn’t experience side effects from the dosage stated above. It could cause a headache if you’ve never used nootropics before, but this is a common first-time side effect. This can be reduced through stacking Coluracetam with a choline Nootropic such as Citicoline. Depression and Anxiety – It’s been shown that a daily dosage of 240mg of Coluracetam, split into three doses of 80mg, can be used to treat depression with co-morbid GAD (generalised anxiety disorder). Although it’s worth pointing out that the people who got the most benefit from Coluracetam for depression were those who hadn’t had success with traditional antidepressants. It also took until the second dose of 80mg for most people to score better on a depression assessment test. Eyesight – Coluracetam has been shown to improve eyesight including improving color vision through better color vividness and recognition. While there isn’t conclusive evidence showing just how it does this, it’s expected that Coluracetam affects the part of the brain that controls the visual process. Memory and Learning – Coluracetam has been shown to boost memory and cognitive function in rats. It’s expected that it should cause the same effect in humans too. A study was performed by BrainCells Inc that showed the memory of rats improved after they were given a neurotoxin and Coluracetam. The rats were placed in the standard Morris Water Maze to test if they could do it and, even up to 3 days after their last dose of the drugs, they were able to complete the maze. Almost every racetam stacks well with choline sources and Coluracetam is no exception. A good idea for a Coluracetam stack is Alpha GPC to boost memory and cognition. With this stack you want to be taking between 300mg and 600mg a day. You can also stack with CDP choline, which would require a dose of between 250mg and 750mg daily.